Built on the success of its predecessors, the Beneteau First 35 offers great sailing performance combined with modern, spacious and well thought out accommodation. Ideal for racing or as a fast family cruiser. Under the current ownership (only two owners from new), this vessel has been sailed regularly and well maintained / updated whenever required. She comes with a good sail wardrobe, including a 2018 carbon polyester racing main. There are new bearings fitted on the steering, there is a German mainsheet traveller system for the main sheet and a Harken Carbo foil for the genoa. The accommodation has a modern and practical feel to it. It is light and airy throughout with generous head room and the capacity to sleep 6, two doubles in private cabins and 2 singles in the saloon. The forward cabin has wide double opening doors offering easy access. In the saloon there’s room for six around an adjustable drop leaf table, grab rails extend the full length of the saloon and the keel stepped mast has an insulating cover for those frosty mornings. The L shaped Nav station with folding seat has plenty of room for your charts, instruments and storage. The compact galley is well equipped and the separate heads compartment has a shower, sink and sea toilet. There is also Webasto cabin heating, h/c water and ample storage throughout. A great combination of superior performance and comfortable accommodation with a modern design. 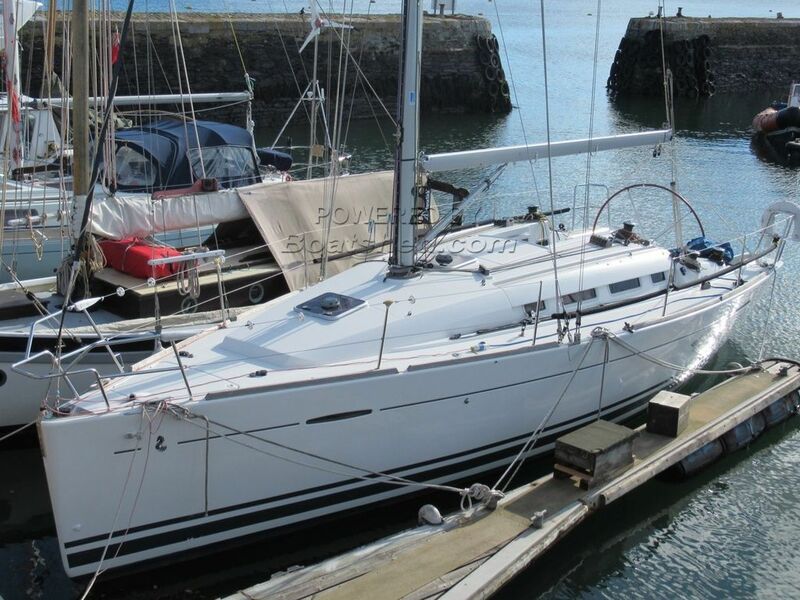 This Beneteau First 35 has been personally photographed and viewed by Billy & Jo Hallam of Boatshed Plymouth. Click here for contact details.